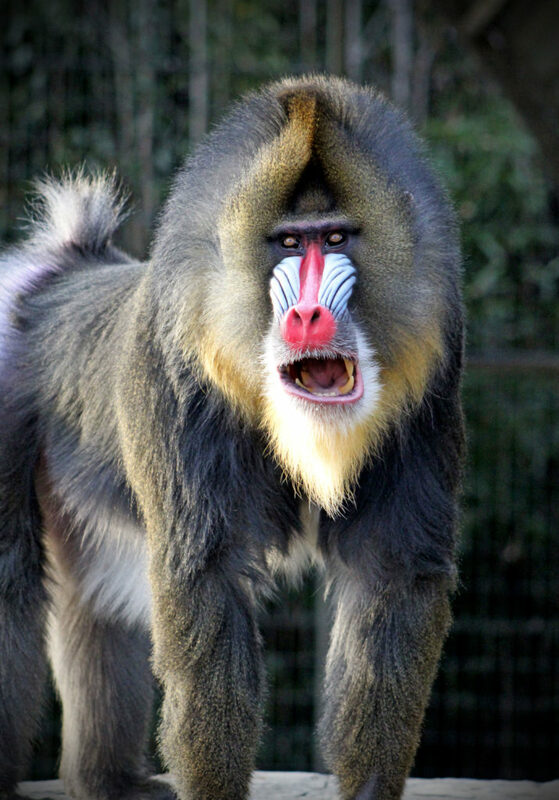 The Mandrill, the world’s largest monkey, can live in large family groups, the largest recorded contained over 1300 individuals. 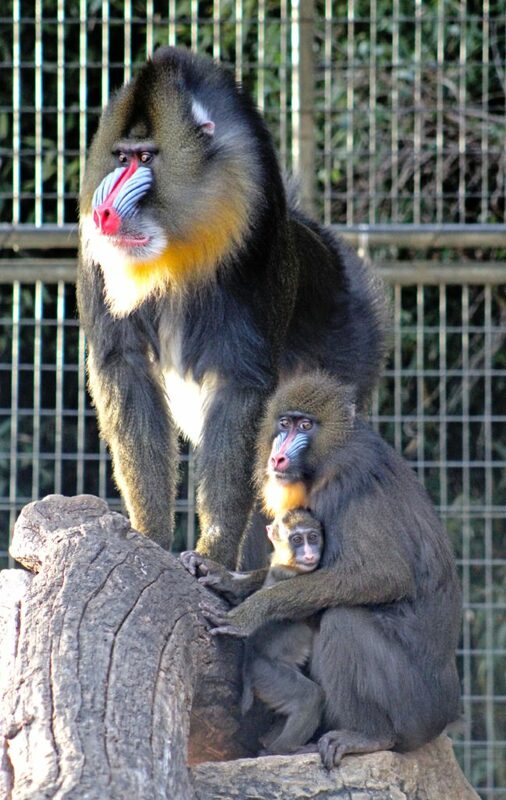 The main predators of mandrills are leopards, pythons and humans. Loss of habitat to agriculture is a major threat to it’s survival in the wild. Males have vividly colored faces and rumps at maturity and large powerful canine teeth. They can weigh up to 60 pounds and stand 30 inches tall, females are half the size and weight. 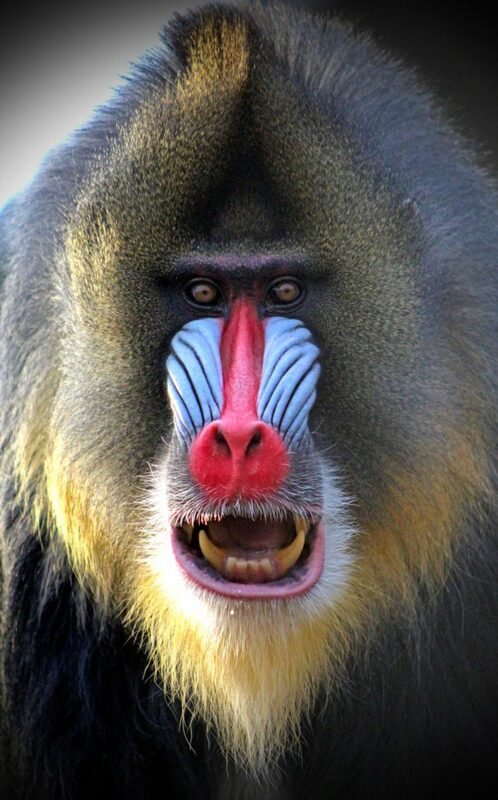 When a mandrill “grins” it is a friendly gesture, when they yawn it is a threat.